I have a friend who lives near Armory Park and I drive by this quirky little green and white gas station frequently. It is on the corner of 19th Street and 4th Avenue and actually it hasn't pumped gas since the 1930's! It was a victim of poor location (unpaved streets that were not frequently used) and the Great Depression. The owner eventually opened an auto body shop behind the closed gas station. 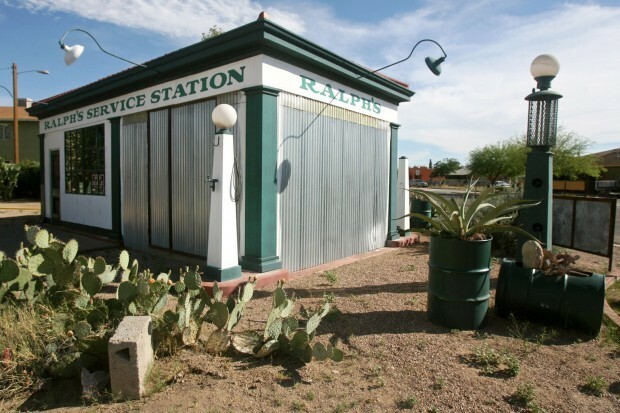 It does have the distinction of being the first prefabricated gas station in Tucson.